Activision have today announced that they are to bring global children’s brand Moshi Monsters to the Nintendo DS, with Moshi Monsters: Moshling Zoo. 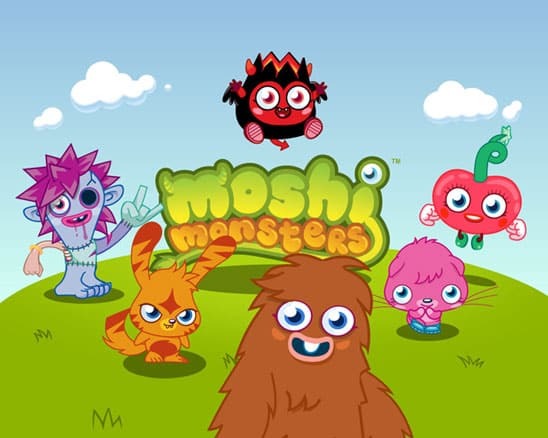 Moshi Monsters is a social online world for kids aged 6-12 that was launched in 2008, and now currently boasts over 50 million registered users across 150 territories worldwide. It provides children with a new form of entertainment, combining adoptable pet monsters, safe social networking, games, stories, missions and educational puzzles. However, one of its most popular elements is the ability to collect “Moshlings” (pets for your pet monsters). Moshi Monsters: Moshling Zoo is therefore aimed to build upon such popularity, expanding the Moshi universe and providing new ways to interact with your favourite characters. The game will feature new locations and an exclusive new yet-to-be-revealed Moshling, with 52 Moshlings to collect in total ranging from common to ultra rare. You’ll be able to enjoy mini-games and educational style puzzles, with the opportunity to win awards and trophies to take back to your zoo.